You may have noticed a slight decrease in the number of posts lately, and today I'm here to explain why. 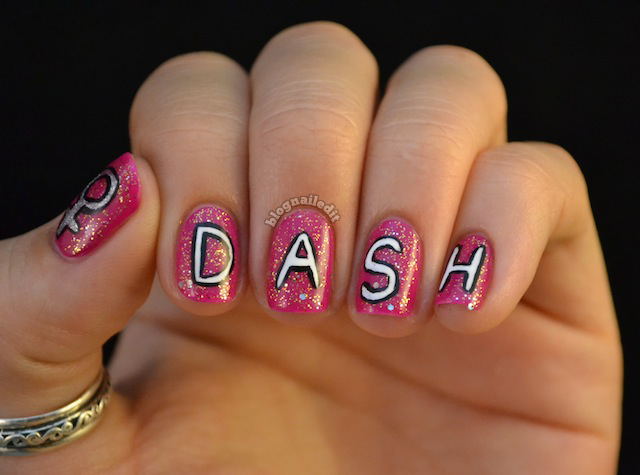 I've been gearing up for my first ever 5K and obstacle course, the Diva Dash. This all-women 5K obstacle course race was something me and two of my girlfriends (Bethany and Bree) decided would be an awesome crowning achievement to the hard work we've all been doing to get in shape. No particular reason other than being tired of the way we look out of shape. So we strapped on our tennies and signed up about a month ago. Today, we ran it together, and finished with great times! I pulled in at 127 out of 434 for my age division and 487 out of 1065. Our time was 39:20. Not too shabby for a first timer! 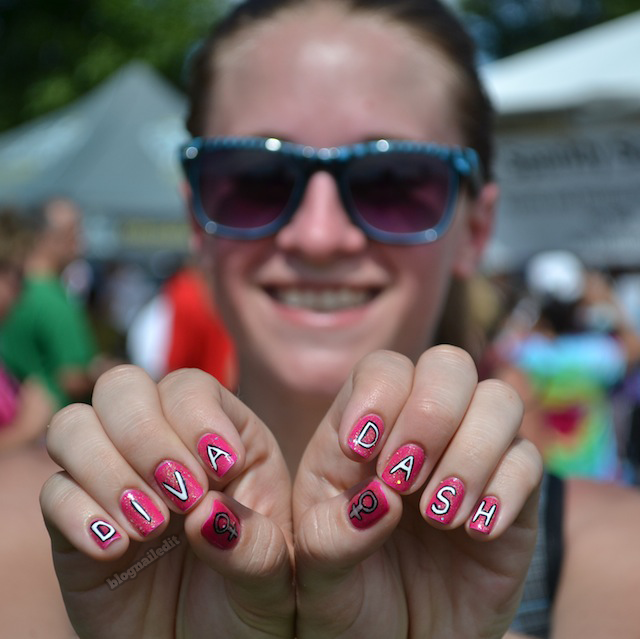 Of course I had to do my nails for this female frenzy, so I chose to write the words "DIVA" and "DASH" on each hand, with the symbol for females on each thumb. I used two Sation colors: Fan the Flames Fuschia and Track Starlet (how appropriate!). 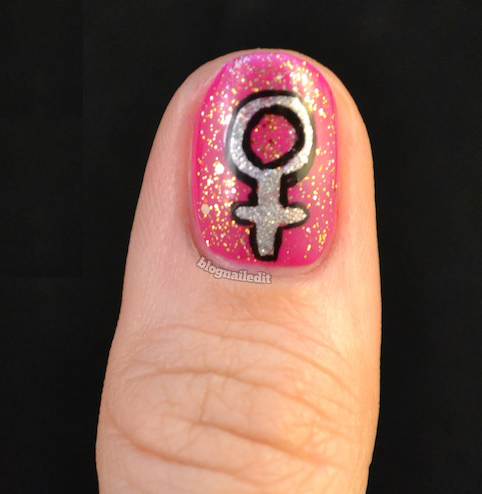 I used two thin Color Madric striping brushes for the designs on my thumbs, and White On (Sally Hansen Xtreme Wear) for the letters. It was an awesome day and I couldn't be prouder of us! That's awesome!! Congrats on a great finish!!! your nails are super cute too! Congratulations! What a great way to celebrate getting in shape and with awesome nails to match! This is awesome! It looks like so much fun, and I bet it felt great to achieve! congrats! That's amazing! Looks like so much fun!! Congrats! What a great achievement :). Loving your nails, too! Awesome you did that! Your nails look great as well! Great achievement and your nails look fab! Congratulations on doing that well at the race!! I can't run for my life, I'm out of breath in like 10 seconds, lol. I prefer other activities like dance lessons to stay fit. Wow that's awesome!! Love your nails, too! Congrats! You certainly have more willpower and determination than I do when it comes to running! And the mani was perfect for it! 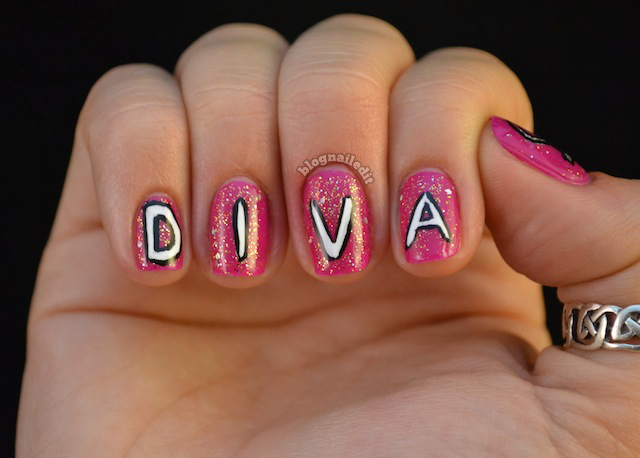 This mani is so cute and appropriate for the event! I love it! !